The day has finally arrived! 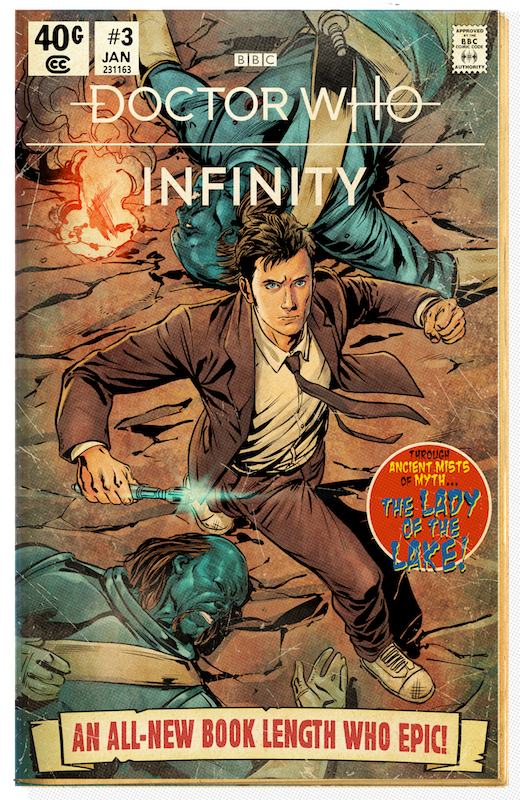 The highly anticipated Doctor Who Infinity game from Tiny Rebel Games today launches for PC and Mac, including on Steam. Mobile versions of the game will be released later this month for iOS and Android. The follow up to the very successful Doctor Who: Legacy game brings brand new adventures for the Doctor and his companions, with the game revolving around episodic, comic-book style adventures. Written and illustrated by many people who have worked on Doctor Who, and voiced by the likes of Michelle Gomez, Ingrid Oliver and Katy Manning, the game is a totally immersive experience for Doctor Who fans. The first episode was written by George Mann, the critically-acclaimed author and screenwriter, including many Doctor Who stories; drawn by acclaimed artist and writer Mike Collins, known worldwide for his history of work with Doctor Who and other major comic properties; and colored by Kris Carter, who has a long history of working with properties such as Shrek, Torchwood and Doctor Who, among many others. The game is narrated by actors Michelle Gomez, who reprises her TV series role as Missy; Ingrid Oliver, who reprises her TV series role as Osgood; and Bella Ramsey, who voices new villain Freya in the game. Episode two was written by Gary Russell, which he has stated is his final Doctor Who story. 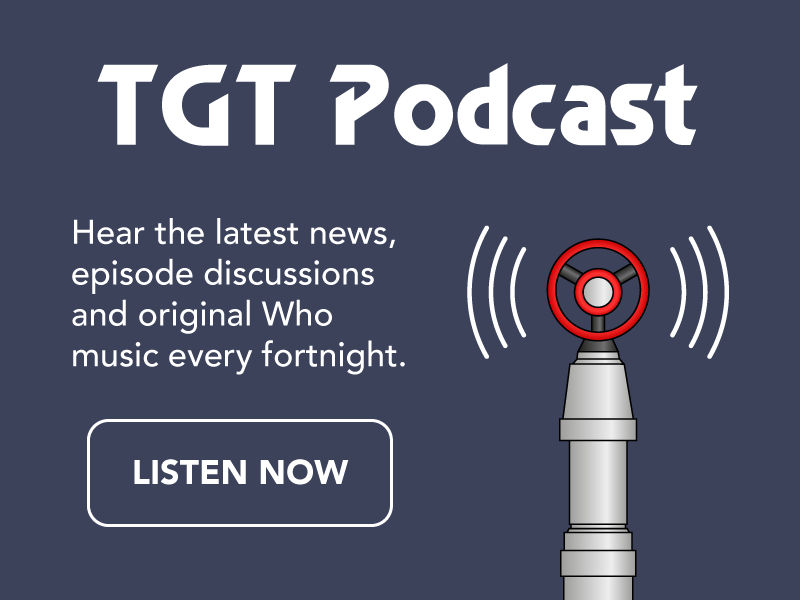 He is well-known as a writer of Doctor Who novels producer and writer of Doctor Who audio dramas for Big Finish productions, formerly a Script Editor for Doctor Who, Sarah Jane Adventures, Torchwood and was formerly Editor of Doctor Who Magazine. 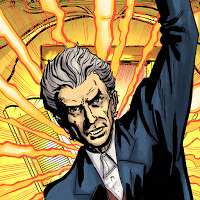 The game’s art has been drawn by David Roach, noted inker of comic strips for Doctor Who Magazine; and also colored by Dylan Teague. 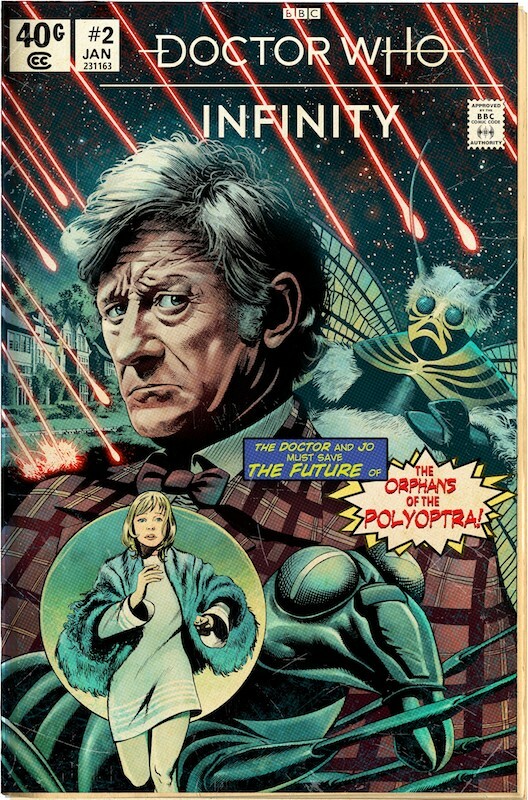 The story is narrated by actor Katy Manning, who returns as Jo Grant, her role from the Doctor Who TV series, and also voices the enemy. 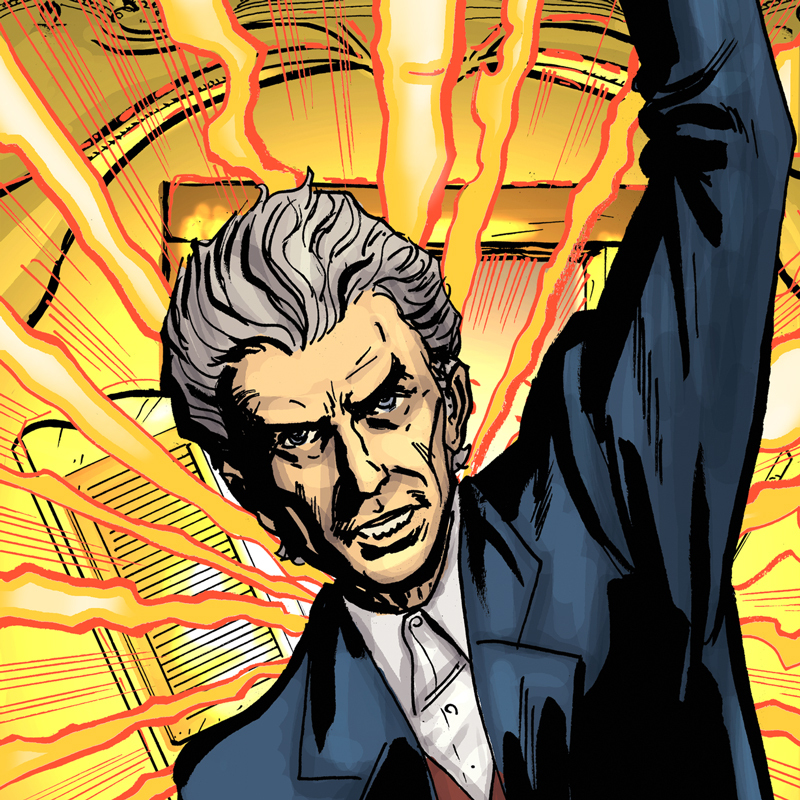 Episode three was written by Scott Handcock, author of many Doctor Who audio dramas and short stories; drawn by Neil Edwards, noted comic book artist whose work includes Marvel, DC, Doctor Who, Titan Comics and many others; and colored by John-Paul Bove, known for his colorist work on G.I. Joe, Doctor Who, Transformers, and Dylan Teague, known for his work as a comics artist and colorist for Doctor Who Magazine, DC Comics. The story is being narrated by Celyn Jones as Geraint, a critically acclaimed and award-winning actor and screenwriter, who is known for films such as Set Fire to the Stars and Submergence and the TV series Joe. Other voices featured include Katy Manning as Delyth and Marilyn Le Conte as the eponymous “Lady of the Lake”. 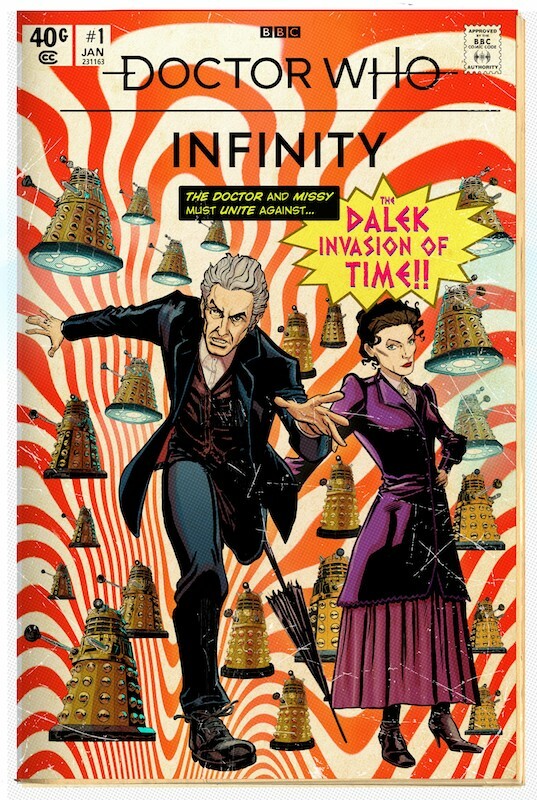 So, if you’re looking for an exciting new game to keep you entertained until Series 11 arrives, check out Doctor Who Infinity today!